Summer is the perfect time to get away, but for people with dogs the thought of leaving their furry friends behind can discourage even the most adventurous from taking the trip they’ve been dreaming about. Because of this, we’ve put together this list of the top 7 pet friendly vacations in the United States so that you and Fido can catch some summer sun – together. If you want to treat your pup to an extra-long walk, then the Grand Canyon is the place to do it. Although he must be kept on a leash, Fido will love exploring the beauty of this Arizona landmark right by your side. There are even dog-friendly hotels and kennels inside the park. This is one of the most ideal pet friendly vacations if you are the outdoorsy type because your dog is welcome to join you on the famous Pacific Crest Trail, a winding path through the Sierra Nevada and Cascade mountain ranges with some of the best views in the country. At Yosemite, your dog is welcome to stay with you at the campgrounds, as well as accompany you on the lovely Wawona Meadow Loop. It has the prettiest views and lowest elevation of the entire park – making it the perfect place to take Fido for a run. The pride of Maine, Acadia National Park is incredibly pet friendly. The Blackwoods and Seawall Campgrounds are two of the best sites in the park and dogs are welcome to join in the fun. You’ll just need to keep Fido (and yourself!) from swimming in the lakes, as they are public water supplies. This park offers 400 square miles of Coloradan countryside for you to explore. While you can camp with your dog here, you may not hike with him, so the park offers these excellent suggestions instead. A vacation Mecca, Myrtle Beach is known for its boardwalks, parks, and sunshine. It’s the perfect place to catch some rays with Fido and because of its laid back vibe, is one of the best pet friendly vacations you can take. This is the perfect place to relax. You and your dog can swim, run, and play to your hearts’ desires on the glowing white beaches of this southern Texas gem. 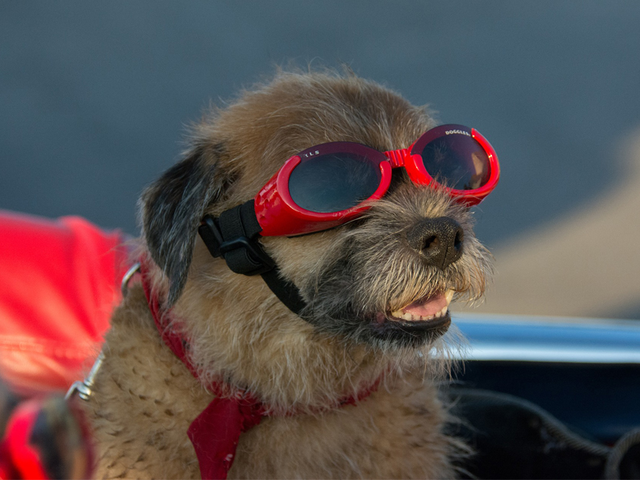 Looking for some safety gear to keep Fido safe on your trip? Check out our reflective collar here.